Prasert leads the Top Kids programme and Heart of Mercy ministry (THA01c) with children from the slums of Bangkok and assists with the Good News Team when needed. She is also regularly involved in the training of children and youth workers throughout Thailand. She is a strong and influential leader who is capably training and making a significant difference in the lives of others. In 1978 two women from New Zealand went to Thailand and started the Good News Team. Prasert Taksin is a Thai from Northern Thailand who came to Bangkok and was trained by Lorraine Dierck, one of the two missionaries from New Zealand. Together they planted a church in the northern suburbs of Bangkok and have been establishing many programmes working amongst the children of Thailand. This project provides financial support for Prasert enabling her to give 100% of her time to the children of Bangkok. The children living in the poor area of Tungsonghong in north Bangkok therefore also benefit indirectly from our financial support of Prasert. Prasert is a beautiful Godly woman with a real heart for children and a tremendous ability to relate to them. We are excited to be able to partner with her, encouraging and helping her by financially supporting her. Prasert is a Thai from northern Thailand who came to Bangkok and was trained by Lorraine Dierck. She graduated from Bible School in 1990 and worked with Good News Ministries (THA01a) for several years before founding Top Kids in 1999. She has a special anointing to share God's love with children and has led hundreds of children to Christ. She is the founder and director of the Top Kids and the Heart of Mercy programmes. She is a very capable and creative person and has written and illustrated the "Through the Bible" curriculum which is used at the Top Kids programmes. 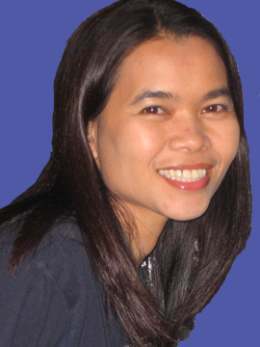 She and her husband are involved with Muangtong Church in northern Bangkok.